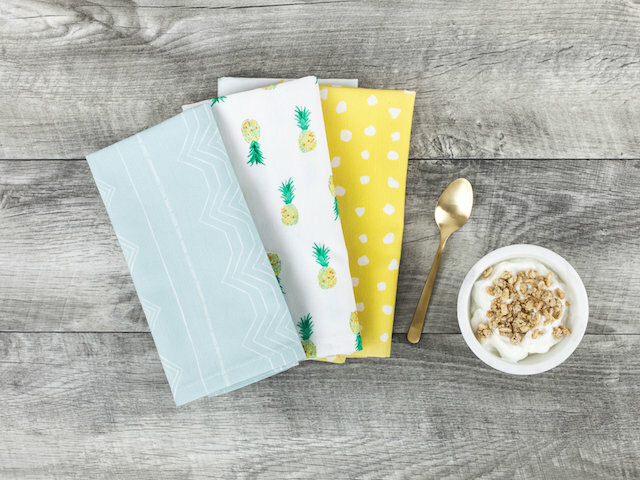 Wolf & Irving make table linens that make sense to use every day. Their table linens are easy-care —soft but also machine washable and more stain and fade resistant than traditional linens. They also prioritize the environment. That’s why their linens use only the highest grade of skin-friendly ink and are made from recycled materials. Wolf & Irving are a husband and wife team and make their table linens right in the heart of Los Angeles, California. They're proud to be a family business and think of each table linen as going from their family’s table to yours.